To adequately care for children and appropriately support families, state leaders and program managers need to rethink the notion of evidence-based decision making. For years, early childhood stakeholders have recognized the need for – and power of – integrated data use. However, having access to data is not the same thing as understanding it. Sharing data is not the same thing as communicating with it. Many states now have sophisticated data systems that can produce a complete, contextualized picture of children and families being served. Leveraging that integrated data to improve lives is easier said than done, of course. But, in a growing number of states, exciting new tools and processes are bringing us closer to those goals. Three years ago, in partnership with the W.K. Kellogg Foundation, the Consortium for Policy Research in Education at the University of Pennsylvania’s Graduate School of Education launched ECDataWorks, a targeted effort to help select states identify their early childhood data needs, set organizational goals, and develop tools to reach them. Our team – including dedicated national ECIDS experts, developers, and integration analysts – began working with four state partners to determine their unique challenges and information needs. This was no small feat. Asking the right questions is just as important and as difficult as finding the right answers. We spent months engaged in multiple rounds of dialogue and feedback, working to articulate state’s goals and gaps for early childhood data use. Where we started was often not where we ended up, but the final result in each case was a clear, actionable, state-driven plan to improve early childhood data use and, hopefully, to better serve children and families. With the aid of grants – the majority of ECDataWorks funding has gone directly to states – and boots-on-the-ground support, we then began designing and implementing analytic tools suited to the specific needs of each state. After years of effort, these tools are now coming online. There’s Texas’ Expanded School Readiness tool, used by education service centers, local education agencies, and local workforce development boards to assist school and program decision-makers working together to prepare for children entering kindergarten. There’s Georgia’s Data Governance Dashboard, which gathers real-time stakeholder feedback to inform a shared research agenda, and tracks the changing content and functionality needs of stakeholders to ensure the long-term effectiveness of the state’s early childhood integrated data system (ECIDS). Minnesota’s Data Story tool allows users to create visualized and narrative-driven breakdowns of various data sets to easily communicate information to busy policymakers and officials. And Utah’s Community Assessment Tool (CAT) provides a contextualized, localized view of early childhood data and allows providers, advocates, and state administrators to better support community program planning and investment decision-making. These tools are now being replicated and adapted for use in Connecticut, Nebraska, Washington, and Washington D.C., with the potential for continued adoption in new states across the U.S. While we’re obviously excited about this work, and the results we hope to track in the months and years ahead, it’s also clear that the ECDataWorks partnership model – a multi-year investment of facilitation, expertise, and funding – is only one type of available intervention. And in that sense, it provides some key lessons that may be of use for others attempting differing interventions with the same goal. For one, we learned that data use is rarely accomplished by an individual in isolation. Effective and sustainable data use is a group activity. All four tools that were designed with support from ECDataWorks are to be used by teams for collaboration and communication. None of the four tools we helped design can be used by an individual. Shifting the focus of evidence-based decision making from individuals to organizations is an important part of how we put data to work. Another lesson is that data use is possible when there is first a clear understanding of an information need. It can be tremendously difficult for stakeholders to identify their own information needs. And it’s important that they don’t feel uncomfortable or ashamed if they can't explain what those information needs are. In our work, we found that one of the most effective ways to help people articulate their own information needs is through a facilitated dialogue among stakeholders, where people are free – and encouraged – to deliberate. I cannot overstate how powerful exchange of viewpoints can be for building a shared understanding of the information needs among diverse stakeholders. In our work, we also administered a survey to all 50 state early childhood data leaders in the country, seeking to understand the conditions for learning within early childhood agencies. State data leaders emphasized the need to combine technology with strategies to capture and share learning. Although important, state agencies typically did not enable people to get needed information quickly and easily, or make their lessons learned available. We are increasingly understanding from experience that an organizational culture of learning is needed for ECIDS to be effective. From school board to statehouse to the White House, early childhood is receiving an unprecedented level of attention and funding, and for good reason. We have more evidence than ever pointing to the first five years as being among the most important, developmentally, for a child’s success in kindergarten, elementary school, and beyond. We also have more data on those first five years than ever before. With increasing pressures for accountability, and a growing need for systems that allow people – the most important piece of the puzzle – it’s time to ask better and better questions, find better and better answers, and make better and better decisions. We no longer want to just worship the data. We want to make data useful and used. That’s what we’re hoping to achieve, and to inspire, with an initiative like ECDataWorks. We recently shared our work at SXSW EDU in Austin and hosted a multi-day convening of state partners here in Philadelphia. In the coming year, ECDataWorks will help our state partners maximize the impacts of their new analytic tools and facilitating learning and information-sharing among all stakeholders interested in this work. 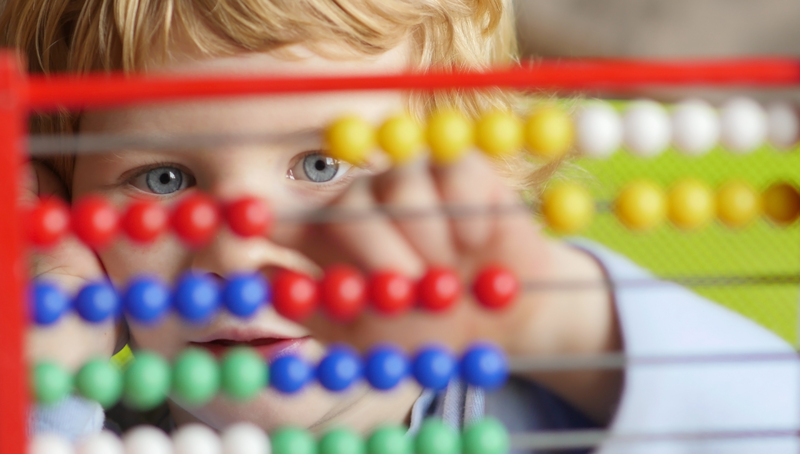 We hope this initiative can provide some tangible, concrete examples of effective and sustainable use of early childhood data, and offer some encouragement to those hoping to take part in this new renaissance of early childhood data use. Philip Sirinides is principal investigator for ECDataWorks, Research Assistant Professor at the University of Pennsylvania Graduate School of Education, and a senior researcher with the Consortium for Policy Research in Education. Each year nearly 14 percent of Americans - including millions of school-age children - move from one home to another. In cities like New York, where roughly 40 percent of students move at least once between third and eighth grade, residential mobility can have significant impacts - both positive and negative - on student outcomes. We sit down with Temple University's Sarah Cordes, who recently led a comprehensive study of more than 90,000 New York City students to understand the impacts of moving on school performance. Cordes joins CPRE research specialist Adrianne Flack to discuss her findings and offer some key takeaways for families, policymakers, and stakeholders across the country. Elizabeth Graue: What Guides Today’s Pre-K Programs? As states increasingly call for standards-based Pre-K programs, teachers and administrators often struggle to balance traditional child development practice with external standards and policies. In this edition of Research Minutes we welcome University of Wisconsin-Madison researcher Elizabeth Graue, lead author of a new, multi-state, comparative case study titled "What Guides Pre-K Programs?" published in Teachers College Record in August 2018. Graue joins CPRE Director Jonathan Supovitz (University of Pennsylvania) to discuss her findings and their implications for Pre-K administrators, teachers, and policymakers. Is Free and Reduced-Price Lunch a Valid Measure of Disadvantage? For decades, researchers and education officials have used the National School Lunch Program as a key indicator of economic disadvantage. Federal and state officials gauge student need and guide millions of dollars in education funding based on enrollment for free or reduced-price lunch. Now, new research suggests this indicator may not be as valid as it seems. In this edition of Research Minutes we speak with Thurston Domina, researcher with the University of North Carolina at Chapel Hill and lead author of a new, multi-state study of education records, household income, and census data, which sheds new light on this long-standing metric. Domina joins CPRE Research Director Jonathan Supovitz (University of Pennsylvania) to discuss his findings, which also include a surprising correlation between lunch program enrollment and student achievement.